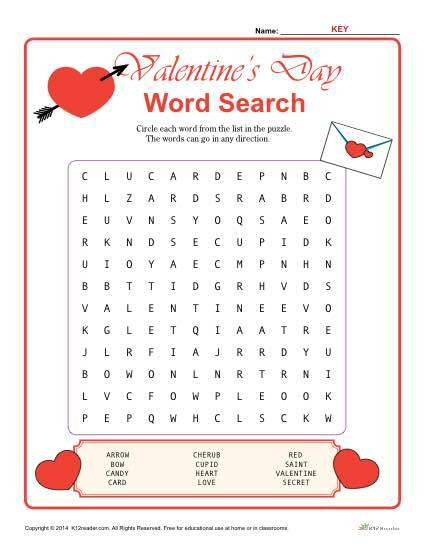 In this Valentine’s Day word search, students circle each word from the list in the puzzle. The words can go in any direction. Fun for elementary school grades.